As the author, I have been told I have a very subtle sense of humor. This page is a work of satire, inspired by the likes of The Onion and early incarnations of The Onion Dome. It is not real news. MINNEAPOLIS (AP) — There is a considerable buzz among New Testament scholars over the discovery of a near-complete Greek manuscript to the book of the Bible called Romans. The manuscript is similar to others, but is the first known manuscript to mirror the Today’s New International Version (TNIV) in its use of inclusive language. 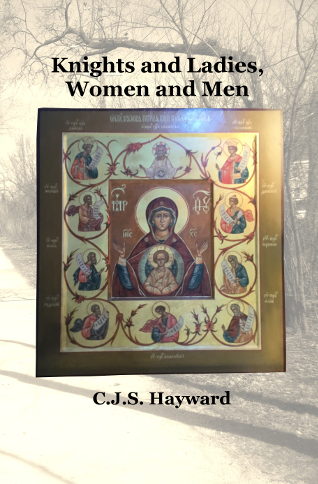 There is a wide consensus among both conservative and liberal scholars that most Greek manuscripts use grammatically masculine words where the original author meant to include women as fully as men. This manuscript, referred to by scholars as R221819, is similar to other such manuscripts but uses inclusive language where applicable. The book of Romans was first written in Greek and is considered foundational in its treatment of what it means to be a Christian. Chapter eight is well-known among people who read the Bible; its fourteenth and fifteenth verses are shown above. Huioi (“sons”) in verse 14 is replaced by a more inclusive tekna (“children”), and various word forms are adapted to a gender-neutral spelling. R221819 is thought to reflect the TNIV’s distinguishing features with considerable accuracy. Kenneth Barker, one of the leading scholars involved with the TNIV, said, “I don’t think this is quite as big of a deal as people make. It’s just a minor change, like other textual variations, and simply clarifies the author’s intent.” He disclaims any greater significance to the discovery. The progressive element of Christians for Biblical Equality has been jubilant. One scholar said, “This is a very important step in the right direction. I look forward to when a manuscript is found where the patriarchal Theos is replaced by the more neutral Theon. It really only means changing a couple of the case endings plus the spelling of the word that means ‘God.’ Theon would remain in the second declension. It is just a small change, but it would help Christians reach out effectively to those on the margins of society.” After all, if one clarification helps, why not another?